In a New Light: Under the Surface - Tucker, 16 - " Moving a Mussel"
"This photo was really hard to get. 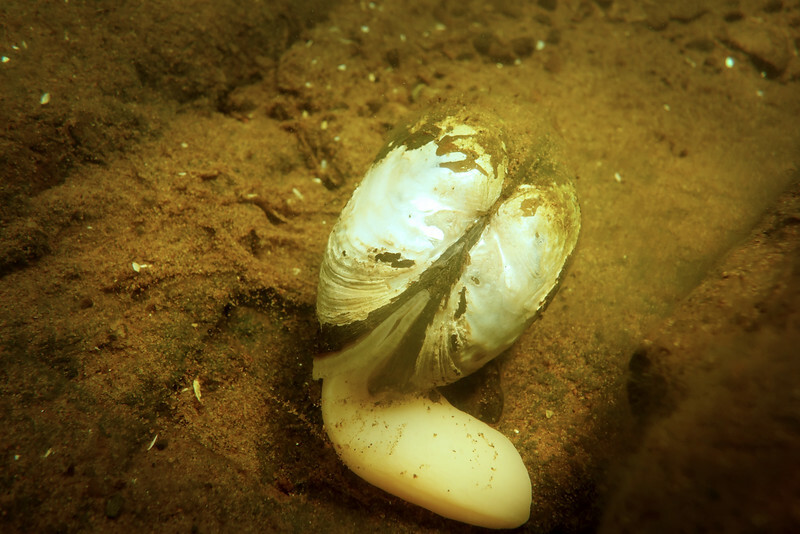 I wanted to get a picture of a mussel moving using it's foot, but it would always pull it's foot back in every time I got close. So I sat and waited and sat perfectly still for five minutes. He finally got used to me or something, or forgot I was there, because he finally stuck his foot out and kept moving. I felt very accomplished."